Craft sticks are a great addition to any crafters supplies! 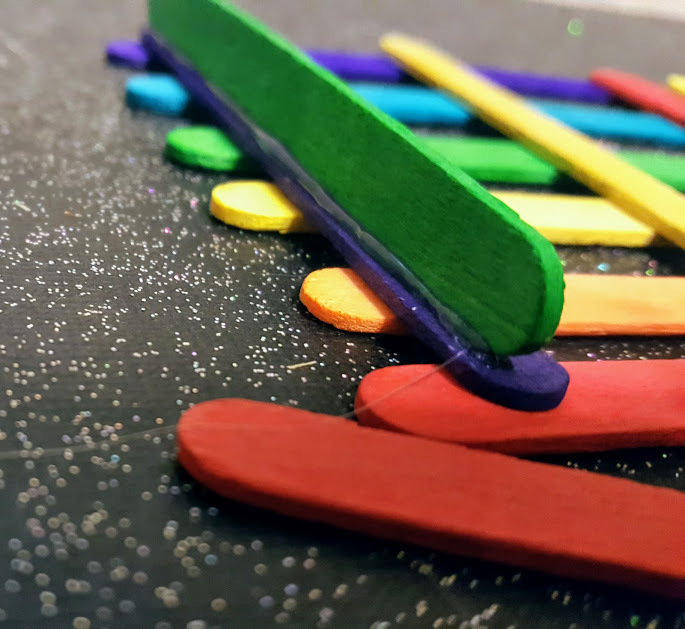 There are so many fun ways you can use craft sticks to create! I made this easy set of coasters in just a few moments. 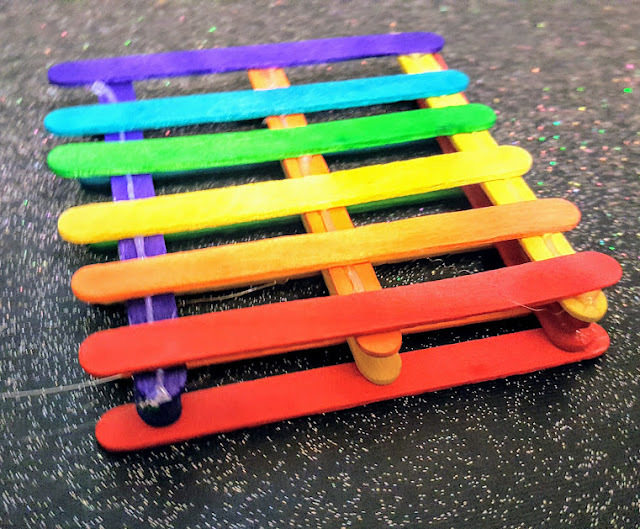 These are great for tweens and teens to make! They are fun and functional and make a cool DIY you can gift to a friend or relative! This project is super simple. I got literally everything I needed at Dollar Tree to make these. I love economical crafting! 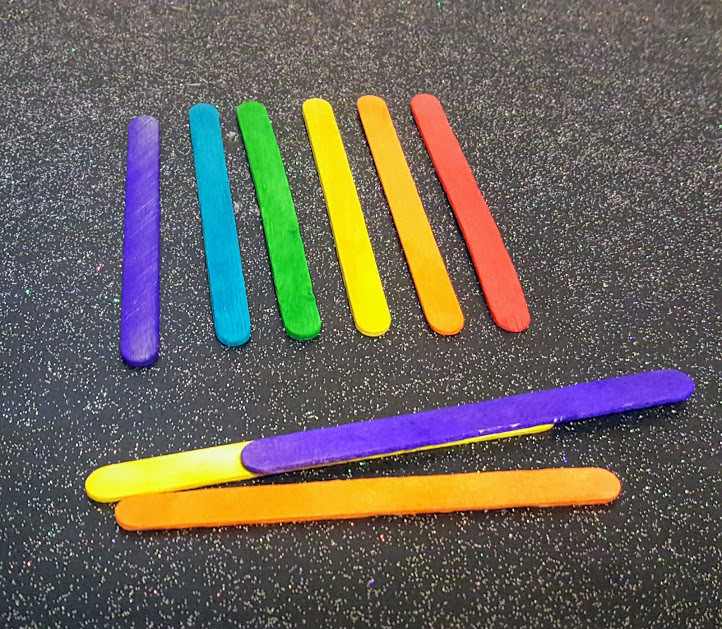 To make this DIY go a little faster I bought the craft sticks that were pre dyed. The pack conveniently contained all colors I needed for a rainbow effect. 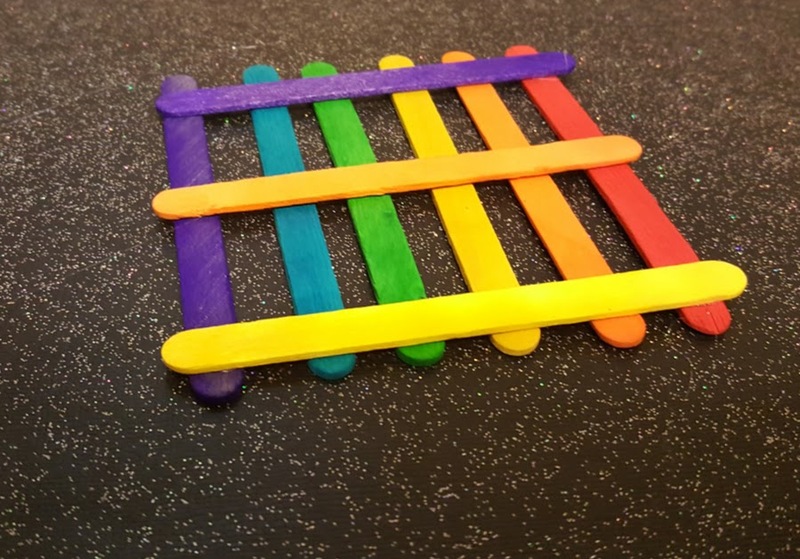 You will need 20 craft sticks to make this project, use 3 of each color! Line up your craft sticks in the pattern of a rainbow. 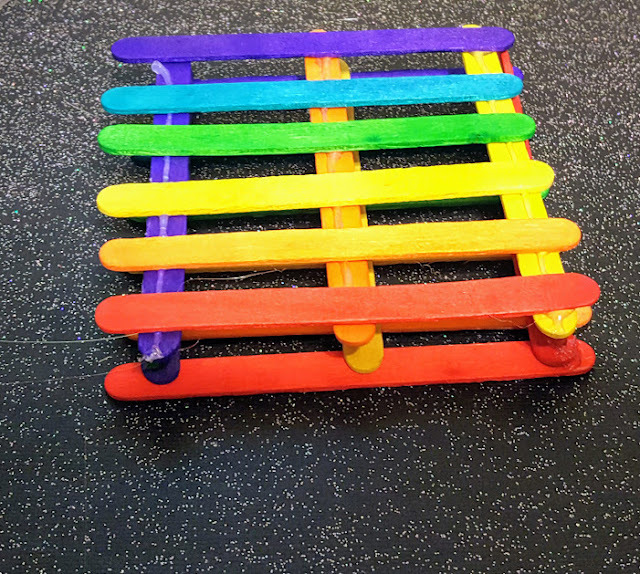 Then use hot glue to attach 3 sticks running in the opposite direction for supports, just like a pallet would have. Repeat and make another one. Then you are going to place a craft stick on its side to give the coaster height. Carefully glue the stick on the sides then add a line of glue to the top of both side sticks and place the other section on the top. This project was featured in a video on facebook. I would love to have you check it out and give it a thumbs up! You can also find it on youtube. 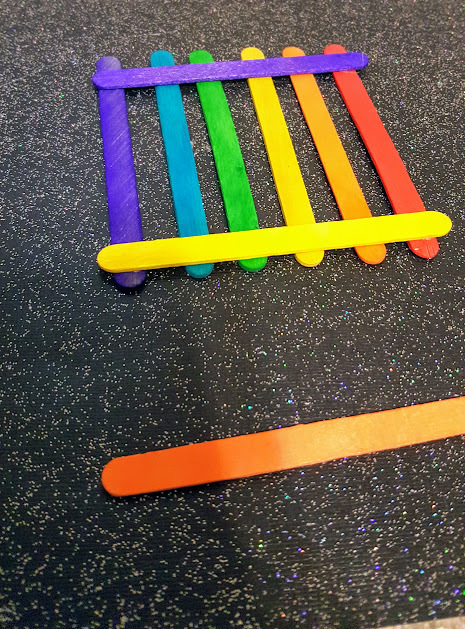 Subscribe for more fun projects for the family!